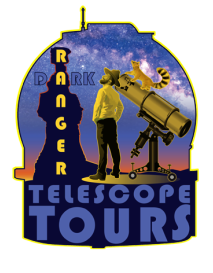 We are working on our own Telescope Etiquette video, but in the meantime you can learn how to make the most of your telescope tour from this video provided by our friends at Bryce Canyon National Park. All of our telescopes are BIG! We cap our audiences at 42 so you get "more time viewing and less time queuing!" We'll teach and encourage you to adjust the focus perfectly for your eyes. We'll teach you how to drive our BIG scopes so you can explore for yourself! "So Please! touch OUR Telescopes!"